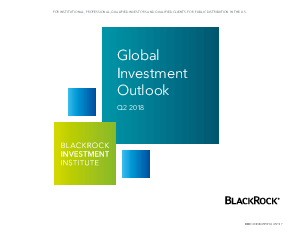 The BlackRock Investment Institute has an overall positive view for risk assets, but expects more muted returns and higher volatility than in 2017. The U.S. tax overhaul and public spending plans have supercharged growth and earnings estimates, adding uncertainty to the economic outlook. The report highlights two key risks to the global expansion and risk assets: trade wars and a spike in real yields.